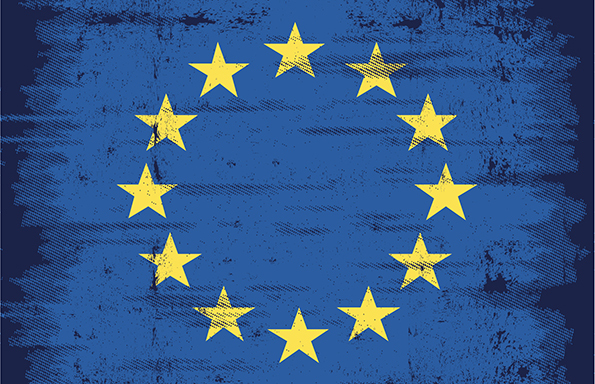 March 29 2019 was the day on which the UK had been scheduled to leave the European Union, yet as things stand what happens next in the Brexit process still remains fundamentally unclear. Parliament seized the initiative from the government at the start of the week, with the House of Commons voting to take control of the process of exiting the EU. After the Prime Minister’s deal had been resoundingly rejected on two separate occasions, the House of Commons held a series of ‘indicative votes’ designed to demonstrate how the Brexit process might be concluded. Yet none of the eight options considered by the Commons attracted an initial majority, and the government’s deal will now return for a further (and probably final) vote. For this further vote, the government has decided to separate consideration of the legal text of the Withdrawal Agreement from the Political Declaration setting out the framework for a future relationship with the EU. The Withdrawal Agreement establishes a transition period in which EU law will continue to apply in the UK, makes arrangements regarding the rights of affected citizens, and determines the UK’s outstanding financial obligations to the EU. The government will seek to persuade MPs that the key elements of this part of the deal are uncontentious, and would provide the basis of any deal to bridge the UK’s exit from the EU. The Political Declaration, in contrast, is simply aspirational and open to further revision in the next stage of negotiations, as the UK and EU attempt to build a new relationship. Under the terms of the European Council decision extending the period for negotiating Brexit, it is only the Withdrawal Agreement which must be approved by the end of this week to set 22 May 2019 as the new exit date. However, if the government fails to obtain the support of the House of Commons for this part of the deal, the legal default will instead be for exit on 12 April, with the UK expected to bring proposals back to the European Council by this date charting the way forward. If an acceptable plan can be agreed, this would provide the basis for a longer extension of the negotiation period, perhaps of a year or more. The decision to separate these two components is in part driven by the decision of the Commons Speaker John Bercow that a third ‘meaningful vote’ on the exit deal cannot occur unless the terms on offer have substantially changed. The Speaker has also ruled out any attempt by the government to stage a vote setting aside the rule that the same business cannot be voted on multiple times in the same session of Parliament. That subsequent ruling seems difficult to justify, as it creates a barrier to the Commons expressing its potential will, and could have excluded any possibility of satisfying the conditions established by the EU to obtain an extension to 22 May. The resulting decision to separate the two elements of the deal carries risks, because UK law requires that both the Withdrawal Agreement and the Political Declaration are approved in the House of Commons before the government could lawfully ratify the overall exit deal. This reflects the position in Article 50, the EU treaty provision governing withdrawal, which refers to the need to conclude a Withdrawal Agreement while also taking account of the shape of the future relationship. In that sense, even if the Withdrawal Agreement was approved and the exit date put back to 22 May, the Political Declaration would still need to be affirmed by that date to avoid a no deal Brexit. Alternatively, this legal requirement for approval of the Political Declaration could be removed, possibly through the domestic legislation that is also required to implement the Withdrawal Agreement in UK law. Yet that would controversially remove from Parliament the right to confirm the framework for the next round of negotiation with the EU. However, as this minority Conservative government seems unable to persuade its ‘confidence and supply’ partner the DUP to back its core policy on Brexit, the prospect of even the Withdrawal Agreement alone being approved by the Commons seems slim. In that case, the pressure will be on the Commons next week, with a further round of indicative votes on Monday attempting to generate a majority in favour of a new plan for the Brexit negotiations, perhaps based on remaining in a customs union with the EU. If no substantive way forward can be agreed, the chance of a no deal Brexit on 12 April will be considerably increased. Alternatively, the Prime Minister may feel that a general election is required to reset the stalled Brexit process, changing the decision-makers tasked with the implementing the 2016 referendum result. Yet just as Theresa May’s offer to resign in order to persuade her own MPs to support her Brexit deal has revealed her stark loss of political authority, so too her ability to bring about an end to this Parliament is limited. The Fixed-term Parliaments Act requires House of Commons support for an early election to be called, and even dismissing the government via a vote of no confidence triggers a 14 day delay period which would take us beyond the default 12 April exit day. As a result, the government’s last gasp attempt to pass the Withdrawal Agreement on its own, separated from the Political Declaration on the future relationship, certainly raises many problems. Yet the underlying uncertainty about what a majority in the Commons will support, and the urgent need to establish this within the next two weeks to access a longer extension of the Brexit process from the EU, explain why the Prime Minister is willing to gamble her remaining authority on a further, and probably futile, vote on this element of her deal.